Top 10 Food Additives to Avoid and Their Health Implications - Fresh Path Health | "A New Day - A New Way"
Aspartame, (E951) more popularly known as Nutrasweet and Equal, is found in foods labeled “diet” or “sugar free”. Aspartame is believed to be carcinogenic and accounts for more reports of adverse reactions than all other foods and food additives combined. Aspartame is not your friend. Aspartame is a neurotoxin and carcinogen. Known to erode intelligence and affect short-term memory, the components of this toxic sweetener may lead to a wide variety of ailments including brain tumor, diseases like lymphoma, diabetes, multiple sclerosis, Parkinson’s, Alzheimer’s, fibromyalgia, and chronic fatigue, emotional disorders like depression and anxiety attacks, dizziness, headaches, nausea, mental confusion, migraines and seizures. Acesulfame-K, a relatively new artificial sweetener found in baking goods, gum and gelatin, has not been thoroughly tested and has been linked to kidney tumors. Read more about the dangers of Aspartame here. MSG is an amino acid used as a flavor enhancer in soups, salad dressings, chips, frozen entrees, and many restaurant foods. MSG is known as an excitotoxin, a substance which overexcites cells to the point of damage or death. Studies show that regular consumption of MSG may result in adverse side effects which include depression, disorientation, eye damage, fatigue, headaches, and obesity. MSG effects the neurological pathways of the brain and disengaged the “I’m full” function which explains the effects of weight gain. 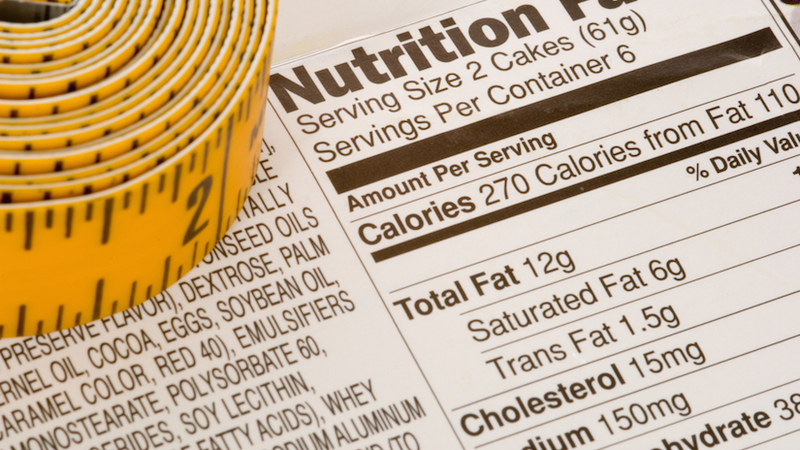 Trans fat is used to enhance and extend the shelf life of food products and is among the most dangerous substances that you can consume. Found in deep-fried fast foods and certain processed foods made with margarine or partially hydrogenated vegetable oils, trans fats are formed by a process called hydrogenation. Numerous studies show that trans fat increases LDL cholesterol levels while decreasing HDL (“good”) cholesterol, increases the risk of heart attacks, heart disease and strokes, and contributes to increased inflammation, diabetes and other health problems. Oils and fat are now forbidden on the Danish market if they contain trans fatty acids exceeding 2 per cent, a move that effectively bans partially hydrogenated oils. Found in: fruit cocktail, maraschino cherries, cherry pie mix, ice cream, candy, bakery products and more! Found in: American cheese, macaroni and cheese, candy and carbonated beverages, lemonade and more! Sodium nitrate (or sodium nitrite) is used as a preservative, coloring and flavoring in bacon, ham, hot dogs, luncheon meats, corned beef, smoked fish and other processed meats. This ingredient, which sounds harmless, is actually highly carcinogenic once it enters the human digestive system. There, it forms a variety of nitrosamine compounds that enter the bloodstream and wreak havoc with a number of internal organs: the liver and pancreas in particular. Sodium nitrite is widely regarded as a toxic ingredient, and the USDA actually tried to ban this additive in the 1970’s but was vetoed by food manufacturers who complained they had no alternative for preserving packaged meat products. Why does the industry still use it? Simple: this chemical just happens to turn meats bright red. It’s actually a color fixer, and it makes old, dead meats appear fresh and vibrant. Butylated hydroxyanisole (BHA) and butylated hydrozyttoluene (BHT) are preservatives found in cereals, chewing gum, potato chips, and vegetable oils. This common preservative keeps foods from changing color, changing flavor or becoming rancid. Effects the neurological system of the brain, alters behavior and has potential to cause cancer. BHA and BHT are oxidants which form cancer-causing reactive compounds in your body. Sulfur additives are toxic and in the United States of America, the Federal Drugs Administration have prohibited their use on raw fruit and vegetables. Adverse reactions include: bronchial problems particularly in those prone to asthma, hypotension (low blood pressure), flushing tingling sensations or anaphylactic shock. It also destroys vitamins B1 and E. Not recommended for consumption by children. The International Labour Organization says to avoid E220 if you suffer from conjunctivitis, bronchitis, emphysema, bronchial asthma, or cardiovascular disease. Found in: beer, soft drinks, dried fruit, juices, cordials, wine, vinegar, and potato products. An additive used to increase volume in some white flour, breads, and rolls, potassium bromate is known to cause cancer in animals. Even small amounts in bread can create problems for humans.